Joyce Kilmer Archives - GetGoing NC! It’s one of our favorite things to hear, because it means we’re meeting one of our key goals: leading you into the unknown. Sure, we hike a lot of trails more than once, and for good reason: they’re worth it. 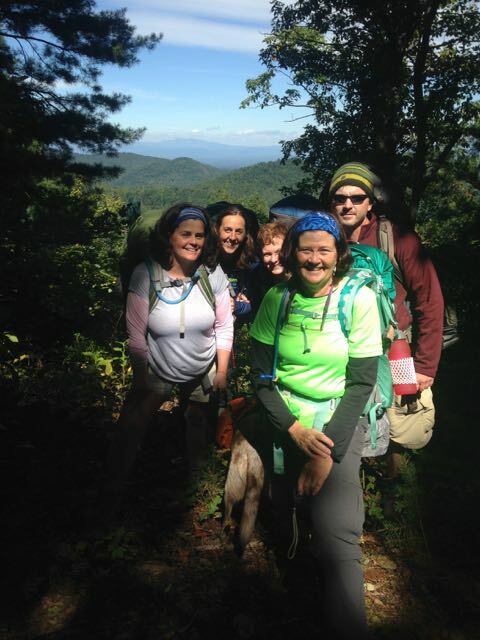 Our Charlotte group goes to South Mountains State Park regularly, our Charlottesville crew loves the Jones Run/Doyles River Circuit in the Shenandoah National Park. 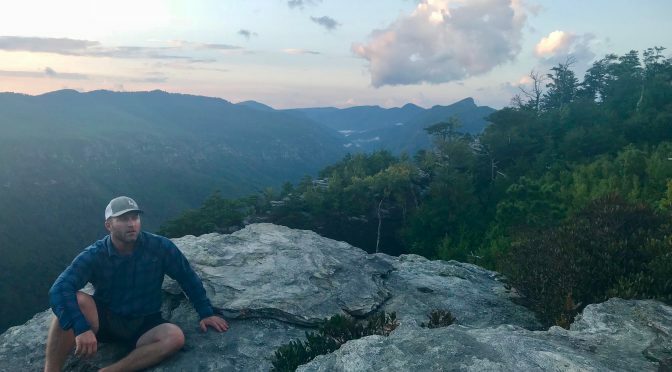 And with 120 miles of the Mountains-to-Sea Trail running through the Triangle, I’ve lead a goodly number of hikes on the statewide path along the Eno River and the south shore of Falls Lake. But it’s the new discoveries most hikers really love. None of the eight hikers raised a hand. Ditto a recent after-work hike at the two-year-old Brumley Nature Preserve in Chapel Hill, at Little River Regional Park on the Durham/Orange county line, and on the Great Blue Heron Loop Trail at Haw River State Park’s Iron Ore Belt Access area. Some of these gems are new, some simply off the beaten path. We’re constantly on the lookout for both. This week, we thought we would highlight a few upcoming adventures to places that may be new to you. Confluence Natural Area, day hike, Hillsborough, July 22. The Eno River Association is one of those land trusts whose work frequently flies under the radar. If you’ve hiked in Eno River State Park, or at Little River Regional Park, you’ve likely hiked on land preserved by the ERA. They typically buy land in the Eno watershed, then, eventually, turn it over to North Carolina State Parks. This spring, though, the ERA opened the 200-acre Confluence Natural Area, its first preserve open to the public, where we’ll explore 2-miles of newly blazed trail. Standing Indian Recreation Area, hiking/camping weekend, Nantahala National Forest, Aug. 24-26. Standing Indian was new to me when I scouted it in 2009. I was finalizing which trips to include in my book “Backpacking North Carolina” and noticed this big network of trails west of Franklin. It seemed worth a chance — and it was. 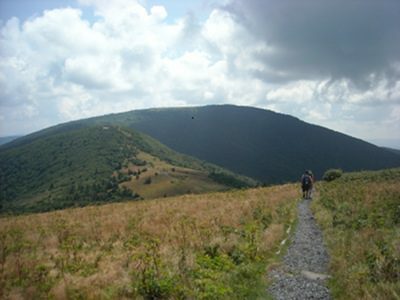 On this trip, the main hike is an 11-mile loop consisting of a mellow climb up Kimsey Creek to the Appalachian Trail at Deep Gap, then hiking north to 5,498-foot Standing Indian and back to camp on the Lower Ridge Trail. We’ll do a shorter hike Sunday. 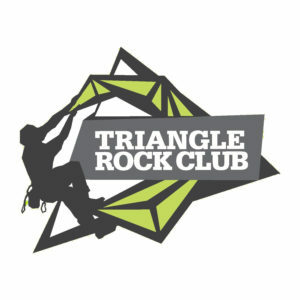 Curtis Creek, hiking/camping weekend, Pisgah National Forest, Sept. 28-30. The Curtis Creek area of the Pisgah outside Old Fort is hardly new: in fact, it’s the oldest tract in the Pisgah National Forest, dating back more than a century. It’s also not new in that it’s home to some of the oldest old growth in the Pisgah. 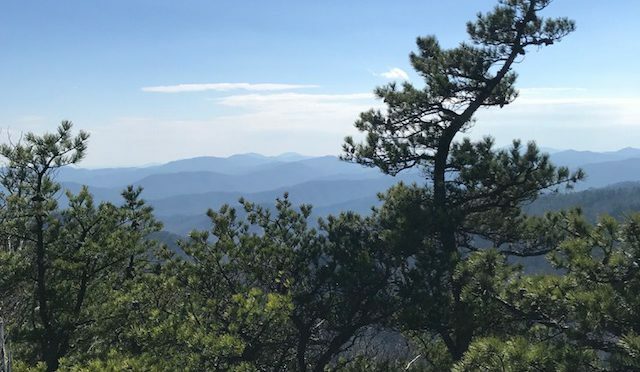 We’ll explore here and in the nearby Montreat Wilderness area with a climb up 5,592-foot Graybeard Mountain. Joyce Kilmer-Slickrock/Citico Creek Wilderness, four-day backpack trip, Nantahala and Cherokee National Forests, Oct. 25-29. This is the mountain land that time forgot. Too rugged and remote to draw much interest from logging concerns, the area was a natural for inclusion as a designated Wilderness Area. The area may be popular with locals — what locals there are — but it’s largely untouched by us outsiders. 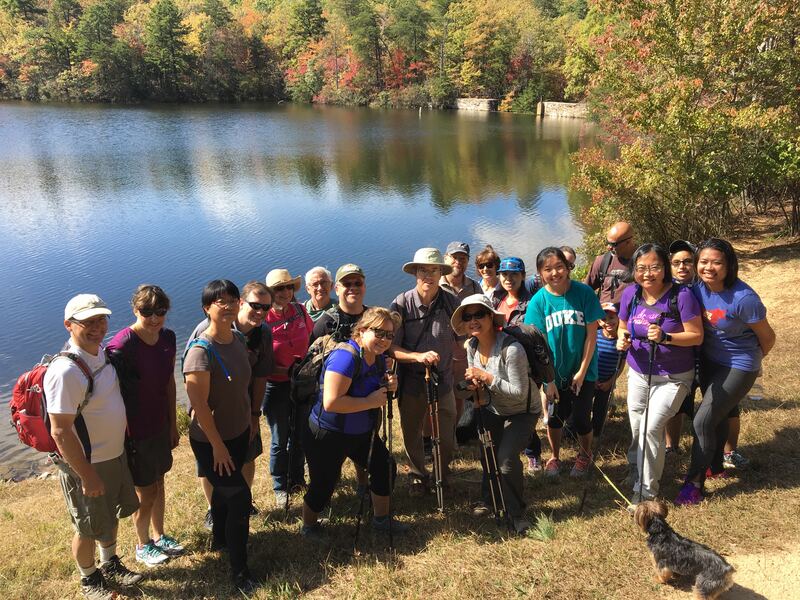 Nags Head Woods Preserve, hiking/camping weekend, Outer Banks, Nov. 2-4. Usually, when you head to the Outer Banks, your thoughts are on the beach, not the trail. Yet there’s some stunning hiking to be done, none more so than through the maritime forest at The Nature Conservancy’s thousand-acre Nags Head Woods Preserve. 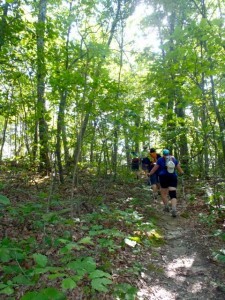 Five miles of trail explores everything from dense woods to the sound. That’s Saturday; on Sunday, we’ll do another five miles amid some of the oldest trees in North Carolina, in Pettigrew State Park. Interested in expanding your adventure horizons? Find more information on each adventure in the links below and join us. Learn more about the new places we’ll be exploring by clicking on the links below.